Hello, everyone. Welcome to another edition of Author Talk and Rising Light Media, where we interview some of the most fascinating religious and spiritual authors in the world. Today, our guest is Michael Gorman. He is Raymond E. Brown professor of Biblical Studies and Theology at Saint Mary's Seminary and University in Baltimore, Maryland. 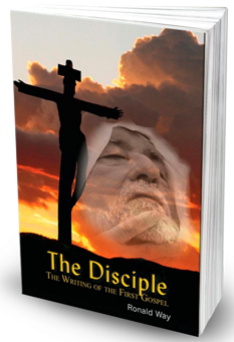 He is the author of roughly a dozen books, all dealing with the Christian faith. Welcome to Author Talk, Michael. I'm glad that you could take time to share another one of your fascinating books with us today. Thank you, Ron. It's a great pleasure to be here. Let's start about 30, when Jesus was killed. 30/33 A.D.
Yeah, I mean, it's true what you say that Paul is a critical figure in the rise and spread of the early church and of Christianity as we know it. Paul was also known as Saul. I think most scholars today believe that he had that dual name from his early days because of being both a Jew, who would have been given a Jewish name, but he also operated in the Gentile world. So, Saul or Paul was convinced, at least from his late teens or early 20's, probably onward, that whatever he saw happening in the Jewish world, that was being impacted by what some scholars call the Jesus Movement. By the time Saul saw this beginning to grow, perhaps only two years or so after Jesus' death and resurrection, he became convinced that it had more problems than solutions, and that it was, in fact, something that needed to be stopped. So, he did his level best to make sure that this, if you will, this contagion that was influencing and infecting the Jewish community needed to be stopped. And he did his, as I said, his level best to make that happen. So, for him, it was a matter of zeal, of commitment, of loyalty to the one God of Israel, to see the movement stop. And then, of course, as we all know, he had a dramatic, complete turnaround. He did a 180, as we might say popularly. Or it may be better to say that the spirit of God turned him 180 degrees, as he met the risen Jesus outside of Damascus. So, yeah, I mean, his story is a remarkable one, and there's lots more that can be said about it, but the bottom line is he was primarily geared toward the purity of Israel and felt that this early, so-called Christian movement, was doing damage, doing harm, doing things that were causing Israel to become impure. And out of zeal for God, he had to stop it. This is fascinating. Who was this young man? How could a young guy like him, in his 20s, no matter how zealous, attack and hound other Jews that happened to think that Jesus was a messiah? He must have been given the authority, by the Temple authorities to do what he was doing. And if that's true, who was this young man, and how did he gain access to that authority to allow him to chase Christians across borders outside of Judea? If it's true he was going to Damascus, that is not part of Judea. That's in Syria. That's a good question. In his letters, he doesn't tell us a whole lot about that authority or that authorization. Let's put it that way, to do what he set out to do. We know, from his letters, that he was a Pharisee. We know that he was absolutely zealous, committed to the ways of Israel, especially the ways of Torah as the means to embody the faithful life that God called Israel to live. From the letters, we know very little about what authority or whatever he might have had. From Acts, we get the idea that he was given authority by officials in Jerusalem. But, exactly what that would have taken, what shape that would have taken and how much authority he had and how much he was authorized to do… we don't get a lot of details in the book of Acts. So, it's a very good question. I think it's fair to say that Paul at least saw himself as an authorized ambassador of the powers in Jerusalem that were trying to keep the faith of Israel pure. And, saying a whole more about that in detail is probably beyond what we can say. Interestingly enough, for everyone that is listening, we can read Paul's letters. We can even read Acts. And we'll revisit the Book of Acts here in a moment to see how legitimate it is with regard to historical accuracy, but everything about Paul's life, after that event, revolves around the vision or experience of some kind that he had of Jesus. It was so profound. I think that we make too little of that sometimes. This was a profound experience. It changed every part of Paul's life. We supposedly learn the details of this experience not from Paul, who says very little about it, but from the Acts of the Apostles, written by Luke—same Gospel writer that wrote Luke around the end of the first century or maybe the beginning of the second—and most scholars now think that his history and timelines were suspect. Paul never says that he was on his way to Damascus. Paul never says that he was struck by a light, nor was the event witnessed by anyone else other than himself. He never mentions a man named Ananias, for example, who brought back his sight. In 2 Corinthians 12, he just says that he was caught up in the third heaven, whether in the body or out of the body, he doesn't know. “Only God knows,” he says. And heard inexpressible things. What happened after that? He only mentions that sometime after the event, he traveled to Arabia and stayed for three years. What did he do? Who knows? What was he going through? And talk about a couple of points you made. The event that's narrated in 2 Corinthians, Chapter 12 may be a reference to his initial encounter with the risen Jesus, but most scholars believe it's actually talking about something that happened later than that. So, he had an additional and, according to 2 Corinthians, more than one additional, what we today would call, perhaps, mystical experiences. I'll come back to that term in a moment as well. I think it's important, when we read Paul's letters, to let him do the speaking, and when he does talk about his, what we would call based on Acts, his Damascus Road experience, he uses language that suggests that it's not simply a mystical vision or something sort of internal to himself, but that this risen lord has objectively revealed himself to Paul. So, for instance, in Galatians, he calls what happens to him an apocalypse. Jesus' appearance to him is a revelation, or an apocalypse. That's the root meaning of the word apocalypse, revelation. And that suggests that some reality, some real person, made an effort to manifest himself to this receptor, this receptor figure, namely, Paul. Or, he says in Philippians, Chapter 3, that Jesus kind of arrested him. The language is pretty strong there. Grasped him, grabbed him, and that now Paul's job was to be grabbed or arrested by the one who had arrested him. Or, when we look at his references to what happened to him in 1 Corinthians, where he compares them to what had happened to the original apostles, he says that Jesus appeared to him, as he had appeared to Peter and to the 500 that he mentions in 1 Corinthians 15. And, for Paul, this seems to be one of the two primary criteria for being an Apostle, namely, to be appeared to by Jesus. And, so you've known him as the risen lord, and then to be sent out by him. So, in other words, I think, even apart from Acts, we get a fairly significant account from Paul of what he understands, at least, to have been a manifestation or an appearance, a revelation of this real, living person. This real, living lord. The crucified Jesus, who's now been resurrected by God, manifests himself to him in such a way that he cannot doubt the reality of it. When we get to a passage like 2 Corinthians 12, which I would think is about a later experience, Paul is talking in the language of early, Jewish mysticism there. But, again, he, this time, he can't really tell us a lot about what he has heard. These things are too overpowering, too magnificent for human language to convey. But it's fairly clear from the context that he's writing in, that he's talking about a vision of Jesus in which he sees the reality of the crucified Jesus being also the Exalted Lord. And I think that those two things are very important for Paul. So, we can... I don't think we need to leave Acts out of the picture, in terms of understanding what happened to Paul. I think actually, what Paul describes corresponds in very general terms to the kinds of things that are described or narrated in Acts. But, you're right, we don't get the same kind of detail. Yes. I mean, there's... Scholars have recognized for a long time that there's some tensions between these two bodies of literature, the accounts in Acts and the letters. But, I think at the end of the day, there is enough similarity between general outlines and, in some cases, details, that I would certainly not want to dismiss either one as being so completely off the mark that we should neglect them. But, you're right, our primary subject today is not Paul versus Acts, but Paul. Exactly. Now, I know that you think that he continued to have these visions throughout his teaching career that started in, what, roughly 33 A.D.? 35 A.D.? Something like that. Mm-hmm (affirmative). Yeah. And then he traveled and taught to about 60 or 65 A.D. when he was killed. And we know nothing about his death because Acts just stops when he is imprisoned in Rome. Acts was written decades after Paul died, so the author must have known what happened to him, but the Book of Acts just stops. We have traditions, but it remains a mystery what happened to him. But you think that he continued to have visions throughout his career, some 20 or 30 years, right? I do. I mean he... Not because I... I just have his own testimony. When he's comparing himself to the people he calls the “Super Apostles” in 2nd Corinthians, he says, "Well, if they want to boast about Revelations and so forth, I can too," but, he says, "They don't really matter to me because I boast in my weaknesses. I boast in my sharing in the humiliation and the sufferings and the self-giving, vulnerable love of Christ." But, he can only say that in a kind of comparative way to the Super Apostles, the rival Apostles, because he, himself, has experienced those kinds of visions. And, as I said, I really think that what he saw in those visions is confirmation that the exalted figure is the crucified Jesus. And the crucified Jesus is the exalted figure so that, when he tells the Corinthians, "We are all being changed into the image of Christ as we behold him." Maybe they don't have the same kinds of ecstatic experiences or mystical experiences that he has, but I think he's saying that everyone has the option, or the possibility, of beholding the figure of this resurrected, crucified Messiah and being changed into his image. But, but the original Disciples and Apostles didn't share his visions much of the time. He got into terrible arguments with them. You say, and I'm quoting from your book, "I want to read Paul and help others read Paul as scripture, and to be blunt, the voice of God speaking to us." The original disciples and Apostles didn't think that he spoke for God. You must have found something deep, so profound within Paul's teachings that you've come to this conclusion, that Paul is speaking for God. He is not to be questioned, then, because it's scripture. Well, I would say two things in reaction to that. First is, I think it's probably a little bit of an exaggeration to say the original Apostles or the original Disciples had these disputes with Paul. In point of fact, we really only know about one major figure who had a dispute with Paul, and that's Peter. And, others who may have been claiming to represent, say, James from Jerusalem also had a dispute. But to kind of say everybody was at odds with Paul, I think, would be historically inaccurate and perhaps have some unfortunate consequences. Yes, Paul and Peter disagreed about a very important matter, about which they had previously agreed, and that's what's critical to Paul. There seems to have been a general consensus, according to both Acts and Galatians, that Paul was an authorized Apostle with the stamp of approval of the powers in Jerusalem, and that he was authorized primarily to preach the Gospel to the gentiles going West to Turkey and Greece and, Paul hoped eventually, to Rome and to Spain. There was some bumps in the road, so to speak, and there was some conflict, but I think it would be fair to say that, for the most part, the official position toward Paul was, as long as he does encourage his converts to avoid certain practices like idolatry and sexual immorality, and as long as he supports the poor, which is a very fundamental Jewish obligation, all of which Paul agreed to do, that he's going to be in good standing. That doesn't mean he always was. I personally think that most of his rivals, his opponents were not official Apostles, but were simply other, early Christian missionaries who happened to see things differently than Paul did. And, in some cases, they may have been in close alignment with some people back in Jerusalem. In other cases, they may have been very much influenced by local customs or cultures that, from Paul's point of view and perhaps from mine even, were off the mark, theologically and otherwise. But, the second part of your thing, just very briefly, you're right. I mean, Paul has made a great impression on me, but I would say that the impression that Paul has made is, in some ways, the same kind of impression he made on many, many, early church figures beginning in the early second century and moving on for many, many years. That Paul has made a huge impression on the leaders of Christian faith, and I'm happy to stand in their tradition and in their wake. Michael, is there any other tradition (I'm just ignorant of this), that carries forth a tradition that's more in line with the original Jerusalem church rather than Paul on a lot of doctrinal things? Is there a Syrian church, for instance, where there are different traditions other than Paul's? Jewish leaders, because Paul was very Jewish. This is really more about how do we understand the Jewishness of Jesus and the Jewishness of the emerging Christian faith than it is about how do we understand... It's not Jewish versus Gentile. Sorry. Right. Right. No, no, no. I understand. His primary argument with the visiting Apostles, if you will, was over circumcision and eating habits, if I'm reading that correctly. Yeah. No, I think that that's his primary ... His primary beef is about people who want to keep Gentiles separate because of their uncleanness. But, to put that in a more sort of theological or deeper significance, Paul is absolutely convinced that what God has done in the Messiah Jesus is what the profits of Israel had promised centuries before. Namely, some day, God was going to bring the nation, the Gentiles, into relationship with the one God and, therefore, sort of make them, along with Israel, worship... not make them as in force, but allow them to worship… all of them to worship the one God of Israel. And, from Paul's point of view and, I think, from most early Christians, that's what was going on. So, that's a very Jewish understanding of Gentilism, if I can coin that word for a moment. One of the questions I find fascinating and that I would like for you to opine about is how you translate a critical verse in Galatians. One of the most critical texts for interpreting Paul and, in fact, interpreting Christianity, is Galatians 2:16. Translations up to 1901, including the King James Version of the Bible, translates Paul is saying that we should mirror "the faith of Jesus" in God. This is very important, because later versions of the Bible—many of them still are heavily used today in our churches—changed this to read "faith in Jesus," which totally changes the faith from one of becoming like Jesus, in our love and trust of God, to one of just believing in Jesus and, in so doing, we will be saved. How do you interpret this verse? It completely changes the Christian vision of salvation. I would be fascinated to hear what you have to say about this. Like "the faith of Abraham." He uses the same term. Yeah. Yeah. There's the term, "the faith of Abraham," in Romans 4. So, I do think for a long time this was translated, I'm going to say rightly, but not necessarily interpreted rightly. Not understood. It then became the case that most translations and most interpreters did translate that phrase, those phrases, "the faith in Jesus." So, for instance, "We are justified by faith in Jesus." The King James says, "By the faith of Jesus." And, in any event, that one little phrase has created a firestorm of debate over what's the better translation and what exactly does Paul mean? And we can emulate him. Of faith that comes from that is, if you will, the sort of subjective, necessary response to the objective reality of Christ's faithful death on the cross. So, it's faith whose action is, if you will, first, and then our response, similarly, is to be... To have, to share in that faith, to participate in that faith, and thereby to participate in what God has done through Christ. Sorry. No, you know what? Oh, my gosh, Michael. Did I tell you at the beginning, this is going too fast? We're already 50 seconds over time. Michael, our time has flown by. Ladies and gentlemen, if you have pondered the mystery in Jesus' death and resurrection from the apostle Paul's point of view, if you've wondered what role Paul played in the formation of the Christian faith, then you need to pick up Michael Gorman's book, which is simply entitled, Reading Paul. That's it. Reading Paul. If you want a rational and brilliantly thought-out explanation of the saving grace of Jesus and God's plan for mankind, then this is the book you will want to buy. Not only will it help you with your Christian faith, but it is a perfect book for a book club in your church, because it has questions and answers and summaries for each concept and each chapter in your salvational journey through life. Click on the picture of the book cover, just to the left of the interview on the Author Talk website, and you'll go directly to the publisher's site, where you can get the book in a flash. This is a must for your library. And, don't forget, you can always download these Author Talk interviews, all of them, on iTunes and listen to them at your leisure. Michael Gorman, thank you so much for taking your time to appear with me on Author Talk and Rising Light Media. I'm very appreciative, and I'm sure our audience is as well. Well, thank you, Ron, and thanks to the audience for listening in. Ladies and gentlemen, that's it for this week. Don't forget to check out our Jesus of History blog on this website, as well as a plethora of other interviews with fascinating authors. For now, this is Ron Way for AuthorTalk and Rising Light Media. Until we meet again, I remain faithfully yours.